Selling Your Home? Don’t Forget Your Garden! Selling your home is one of the most stressful things you will ever have to do. It’s likely you’ll have to declutter and re-decorate some rooms to make them appeal to potential buyers. While preparing your home is crucial, there is another area which many homeowners forget about. Your garden is an important area of your home’s exterior and top selling point, so don’t let it get overlooked. It has the potential to add value and help you get the price you want. But you need to make sure it looks the part first. Use this guide to get your garden looking it’s very best before you start having viewings. Some basic garden maintenance is one of the best things you can do to impress potential buyers. Make sure your garden looks clean, uncluttered and healthy by taking the time to do some gardening. Get rid of weeds and dead leaves and repair and paint broken fence panels. You should mow your lawn regularly and keep your borders neat. You should also remove dead flowers and replant new ones for instant colour and appeal. This also applies to any hanging baskets or window boxes you have too. Gardening has also been found to lower stress, which could help you stay relaxed throughout the process. So now matter what time of year it is, get your garden looking fabulous. The colourful plants and flowers in your garden can make it look attractive and pleasing to the eye. But when they come into bloom, it’s vital that you look out for insects which could destroy them. 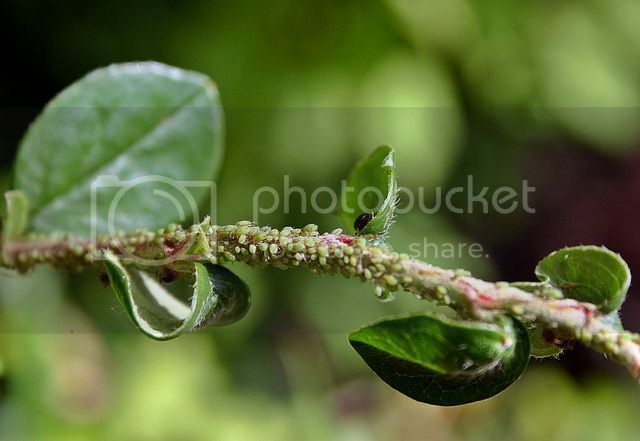 Aphids and other small pests can eat your plants and flowers, causing them to wither and die. The last thing you want potential buyers to see is a garden full of dead flowers. It could also put them off from putting in an offer because they may fear you have an infestation. Keep these flower-killing pests under control with specialist sprays, which you can find at most garden centres. When viewers come to see your home and garden, you want them to imagine themselves living there. This is why it’s so crucial that you showcase all of your garden’s best bits. If you have a particularly sunny spot, position your outdoor furniture there. You could create an inviting outdoor living space on your decking or reposition your vegetable patch in a more prominent area. However, it can be difficult to know which bits to show off. So it might be beneficial to get some assistance. Garden redesign makes a world of difference when you’re trying to showcase it’s appealing assets to potential buyers. Plus it gives you more time to concentrate on other areas of your home. So start searching for a redesign service to get work started as soon as possible. Preparing your garden to sell will require time and hard work, which can add more stress to the process. So if you’re struggling to get your garden up to scratch, hire a local gardening company to help you. You can then ensure your whole house makes a fantastic first impression.